Amazing news for musical fans everywhere! 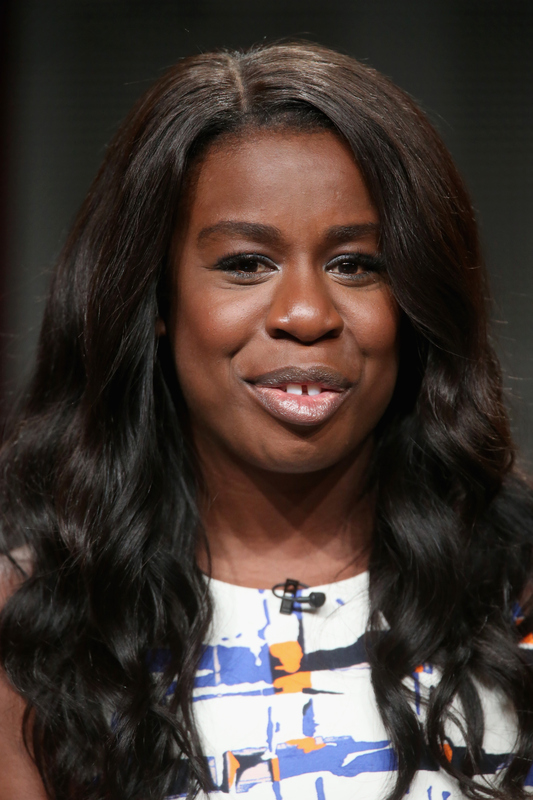 NBC has cast Uzo Aduba and Amber Riley as the good witches in The Wiz Live! Aduba will be playing the well-known Glinda, the Good Witch of the South, while Riley will be playing the slightly less gifted Addaperle, the Good Witch of the North. This cast is getting increasingly star studded, as Queen Latifa is playing the titular Wiz, David Alan Grier is the Cowardly Lion, and none other than Mary J. Blige is playing Evillene, the Wicked Witch of the West. That is one seriously talented cast right there, and both Aduba and Riley will fit in just fine. We've spent years watching Riley hit the high notes on Glee, and, though Aduba is best known as Crazy Eyes from Orange is the New Black, all you have to do is listen to her sing opera to know she will rock Glinda. Whether you love watch or hate watch these NBC live musicals, you have to admit they always put on a heck of a show. The casting of Aduba is particularly exciting, as she is one of the many cast members of OITNB to land an exciting, high profile TV or movie role. To me, this is just further proof that the OTINB cast is taking over the world, and I really wouldn't have it any other way. To tide you over until The Wiz Live! airs, here are the seven most exciting roles coming up from the OITNB cast members. Poussey is hands down one of the best characters on the show, and Wiley brings so much emotion and depth to her. I am looking forward to what she does next, which, right now, is the movie 37. She plays Joyce Smith in a fictional account of the famed 1964 murder of Kitty Genovese. Lyonne has got all sorts of projects lined up thanks to her (sob) reduced role in OITNB. I'd say I am most excited for the campy and fun looking Yoga Hosers about teen yogis who team up with a man-hunter to battle with an ancient evil presence that is threatening their major party plans. What has Pornstache not been in since his role on OITNB? It seems like he is everywhere these days, but you can catch him flying jets on HBO's original series The Brink. Mulgrew did the impossible when she made me forget all about Admiral Jayneway and transformed into Red. We'll see her do it again as she plays Edith Morse Robb in the period piece Drawing Home. Polanco has a very big year ahead of her. She is acting alongside Jennifer Lawrence in the new (and highly anticipated) David O Russel blockbuster Joy. As fan favorite Taystee, Brooks often brings some comedic relief to the show. Her voice-chops will be on full display as she is going to be one of the voices of the Angry Birds movie. In related news: I now have another reason to go see Angry Birds. Like mother like daughter! When she's not playing Dasha's inmate mother on OITNB, Rodriguez is tearing up our screens on Power as Paz, Angela's sister. She also has a role on the upcoming Fear the Walking Dead show, so I wouldn't expect to see her back at Litchfield anytime soon.